Search for “marquetry” images and you’ll be blown away at the art form of combining small pieces of wood to make amazing pictures. I’ve been intrigued by this, but I’m a nerd so I did it on a laser cutter. I thought it would be way easier and it probably was…. but it was still a challenge. A while back, David Picciuto from Make Something sent me a box of small wood scraps. There were a lot of very interesting species in there, but they were so tiny it was hard to think of something to do with them. (Kinda makes sense why he would give it away, huh?) Then I hit upon the marquetry idea. A butterfly seemed like a good first attempt so I found an image online that was close to what I had in my head and then tweaked it and made it into a laser cutter file. I spent many hours tweaking my design with test cuts at the laser cutter to get it as intricate as possible without making pieces so small that the kerf of the laser would totally obliterate the tiny piece. 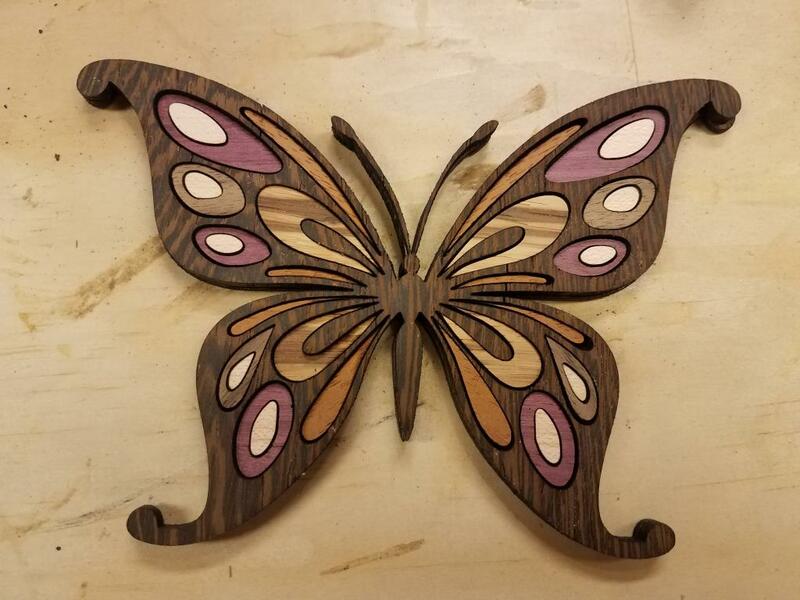 In the end, I combined coconut palm, walnut, maple, purple heart and a couple other woods that I don’t know the names of to make the butterfly you see below. It’s pretty fragile, especially the antennae, but it at least held together long enough to take a photo. The dark outer wood is the coconut palm. In addition to the top border that you see, I also cut a solid bottom piece that everything glues on to. This one is a Christmas gift for Mom. Merry Christmas! Router-carved signs are a common sight at fairs or even in pop up shops at the mall. I’ve been watching a bunch of Dave Rhoten’s videos on YouTube and finally I decided it was time to try it for myself. I purchased a Dewalt DWP611 along with two special router bits and a nice base plate from Dave’s store. I bought 1×8 select pine from Home Depot (mostly knot free) and put on a couple coats of shellac. Then I used the laser cutter at work to draw the letters that I wanted to cut. That made the layout portion of the project very easy! The next step was the most time consuming. 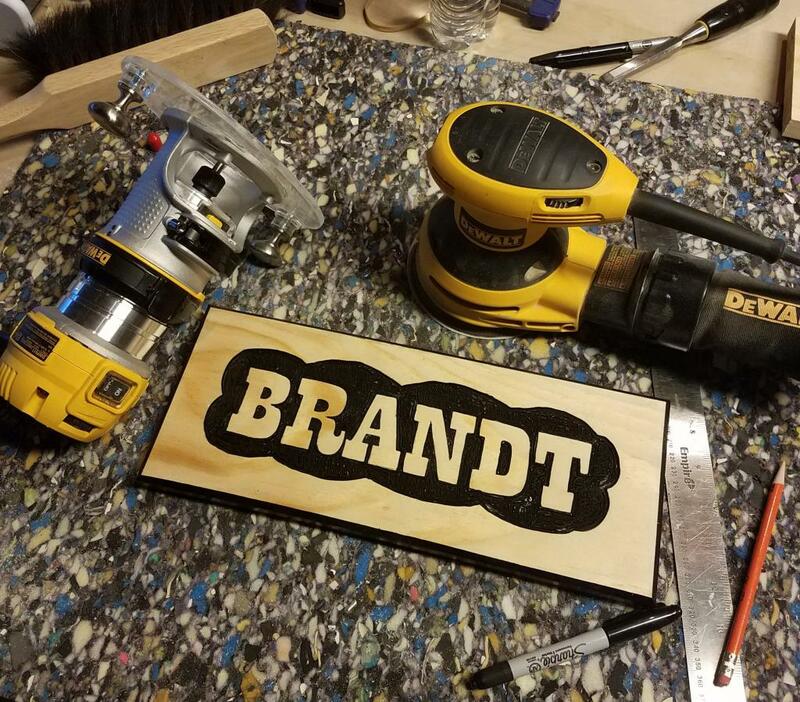 I used a very narrow V-bit to carefully cut around the outside of every letter. Then I put in a bigger 90 degree V-bit to draw the big cloud around the outside and cut out everything between the cloud edge and the edge of the letters. After a little cleanup with some chisels to remove any remaining high spots, I covered the whole piece in black spray paint. When it was dry, I sanded the top which removed the paint from the letters and the part outside the cloud leaving the indented part black. The shellac coating helped to keep the paint from bleeding too deep into the wood on the parts where I didn’t want it to stick. Finally I used my keyhole bit to cut a slot in the back for a screw or nail so it could be easily hung on the wall. This was a gift for Don’s brother and his wife in Montana as a thank you for letting us stay with them. And since I was making one, I decided to make two and give one to Don as well. 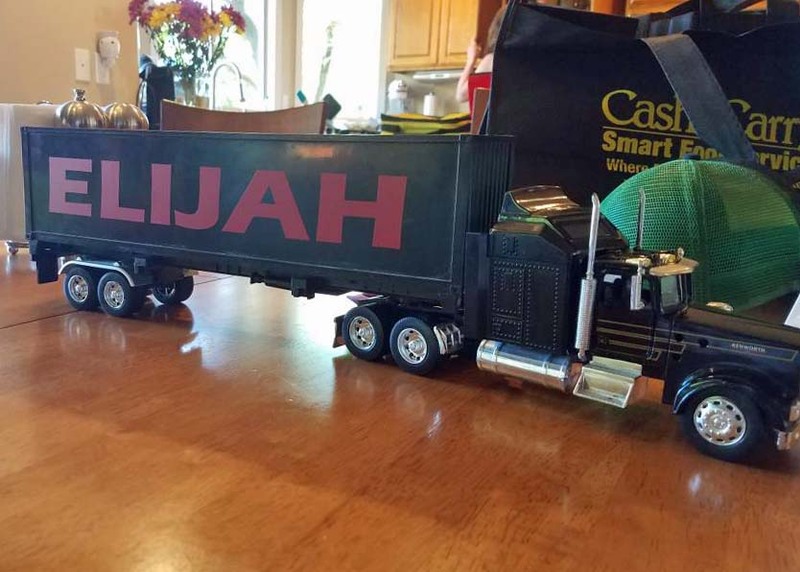 It’s a fun and relatively quick project, but it takes patience! Happy birthday Tyla! On Saturday she chose to spend some time down by the river in Monroe, Sunday afternoon was spent eating fried chicken with her family and playing board games, and then tonight we are going out for Thai food. That should do a pretty good job at filling up her love cup. 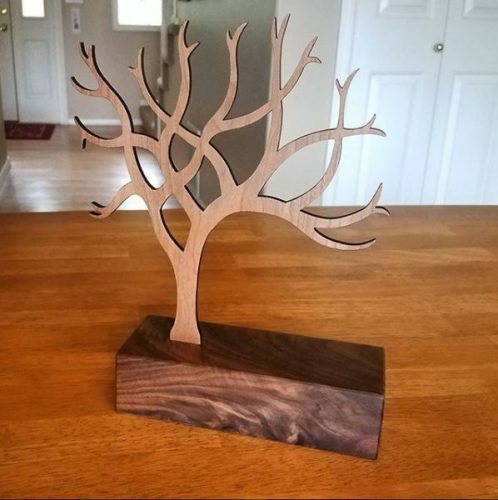 I was happy to finally share a project I made a few weeks back. I laser cut a tree out of a piece of cherry plywood and then dug a mortise out of a block of walnut to hold the tree. The idea is that this can sit on her dresser and hold small jewelry. I used a random scrap of walnut and it had some beautiful grain in it that was perfect for this project. I didn’t invent this so if you’re interested you can see lots of variations of this idea on Etsy and various craft sites. If you talk to Elijah, the first thing you’ll probably hear is that he is four now. 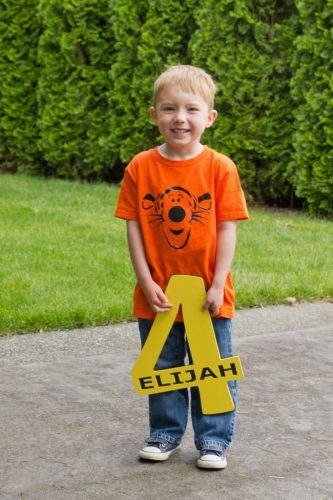 For his birthday, Tyla came up with the idea of a Winnie the Pooh theme because that’s pretty much the only thing that Elijah watches or listens to these days. He had a Tigger shirt, a cake with all the characters on it and decorations around the house. Thanks to Tyla for putting that all together! 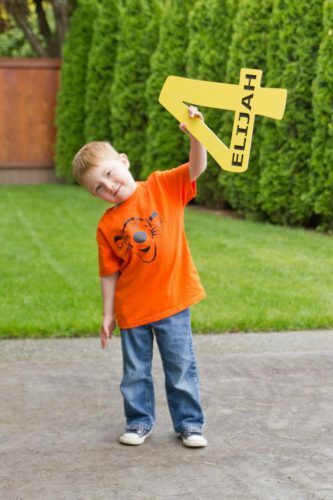 She also had the idea of having him hold a large 4 and posing for some pictures. Instead of buying one, I decided to cut it out on the laser. I did two of them with the top one also having his name cut out. I painted the top piece yellow, painted the bottom piece black, and then glued them together. The hardest part of the idea was getting a four year old to smile and look at the camera! 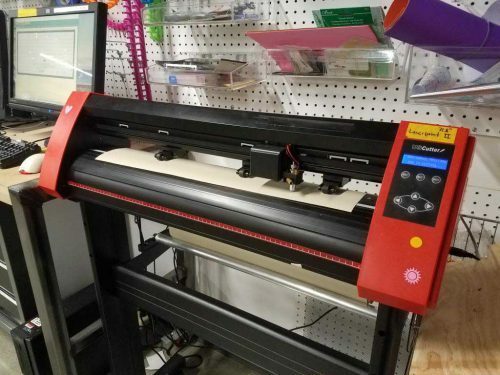 “The Garage” at work is like Willy Wonka’s chocolate factory for makers. There are lots of different tools that you can use for free (after you take a training course and usually provide your own materials.) I’ve been having lots of fun with the laser cutters, but recently I got trained on the vinyl cutter. Our vinyl cutter is kind of like a huge (~36″ wide) ink jet printer that has a knife on the end instead of ink. You “print” on rolls of vinyl that are sticky on one side. When you cut the sheet, you’re just cutting through the vinyl but not the paper that covers the sticky side. You then apply another piece of sticky paper to the top of the vinyl. Peel off one side of your sandwhich and leave either the positive or negative space that you cut out. That made no sense because I don’t know what most of the things are called. But blah blah blah, it’s fun! The computer side of things is roughly the same as the laser cutter. Files need to be in vector format and I can easily reuse most of the drawings that I did for the laser cutter. 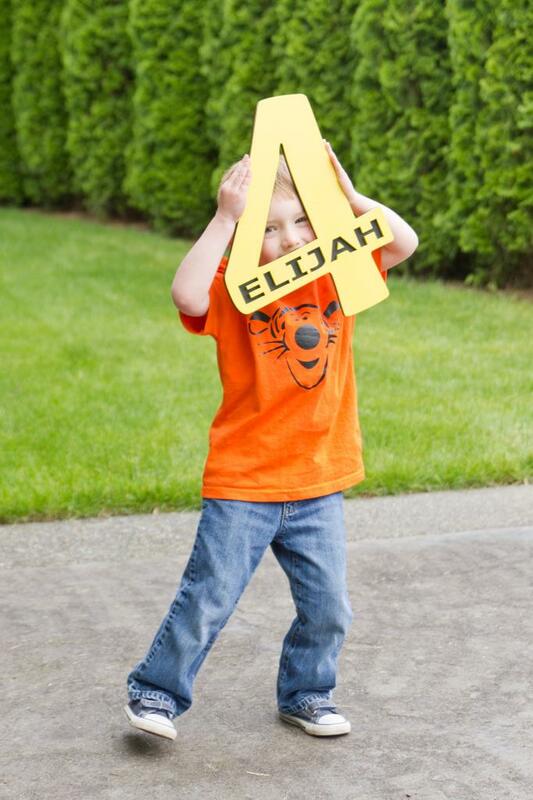 The first project was the sign for Tyla’s Mother’s Day gift. I headed back and did a couple more. The first was vinyl for both sides of one of Ellijah’s toys. He now has a custom semi trailer! 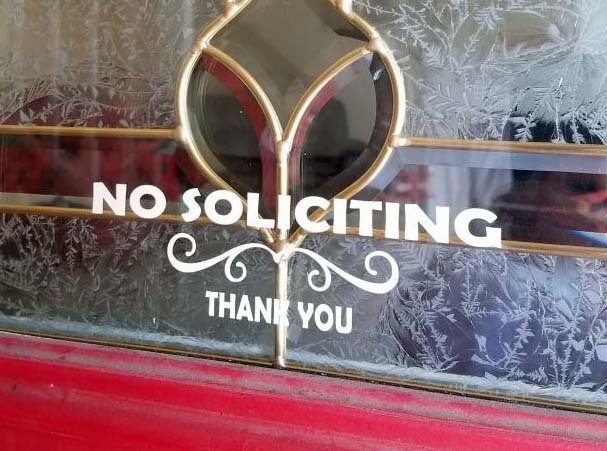 I also printed a “No soliciting” sign for our front door. We get a LOT of door to door sales people and I have a standard policy of never buying or signing anything at the door. I used to have a dinky little piece of paper taped to the door but this looks a little nicer. It’s not quite as obvious, but some people ignored the old sign anyway. I’m looking forward to spending some more time on the vinyl cutter. It opens up a whole new set of project possibilities.